Dr. Richard Webster Charteris, was born in Chatham, Ontario on the 29th of November, 1929. His father was Dr. Walter Francis Charteris and his mother was the former Thelma Bronson Diethrich, a native of Findlay, Ohio. Dr. Charteris attended McKeough Public School then Upper Canada College in Toronto, before entering the University of Western Ontario. Here he obtained his Bachelor of Arts degree in 1951 before entering Medical School. He graduated M.D. in 1955. Dr. Charteris interned at St. Vincent’s Hospital in Toledo, Ohio from 1955 to 1956. After completing his internship, he joined his father in his medical practice in 1964. Dr. Richard Charteris was the Treasurer of the Kent County Medical Society from 1957 to 1962. 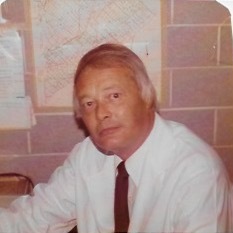 He was the Secretary of the Medical Staff of Public General Hospital from 1958 to 1960 and the President of the Medical Staff at St. Joseph’s Hospital from 1965-1966. He also served on the Board of Directors of the Chatham Y.M.C.A. from 1960 to 1965 and with the Y.M.C.A. Advisory Board in 1966. Dr. Charteris belonged to the Delta Upsilon Fraternity with the University of Western Ontario Chapter. Dr. Charteris married Mary Kaye Campbell on the 4th of June 1954 in Chatham. She was born in 1929 the daughter of Clarence Kenneth Campbell and the former Christina Baines. Mrs. Charteris had 2 brothers, Kenneth and Thomas. 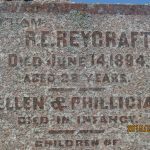 Dr. and Mrs. Charteris had a son, Richard who was born on the 20th of October, 1955. Dr. and Mrs. Charteris eventually divorced. Mrs. Mary Kaye Charteris died on the 10th of October 1971. She was buried at Maple Leaf Cemetery in Chatham. Dr. Charteris married Joan Elizabeth Fleming on the 14th of November, 1970 in Chatham. She was born in Hamilton, the daughter of Ernest Fleming and the former Elsie Wooley. Mrs. Charteris had a brother named John. She was a graduate of the University of Western Ontario. Mrs. Charteris died on the 8th of January 1974. She was buried at Maple Leaf Cemetery. Dr. Charteris died on the 10th of September, 2004 and he was buried at Maple Leaf Cemetery. 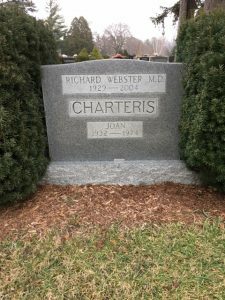 *Dr. Charteris’ father, Dr. Walter Francis Charteris and his grandfather Charles Richard Charteris also appear on the Chatham-Kent Physician Tribute website.